Sometimes a basic square or rectangular window will not fit or do your room’s architecture justice. Fortunately, Renewal by Andersen of Southeastern Mass and Rhode Island has the solution: our many lines of specialty windows. Enjoy gentle curves, sloping arches, dramatic angles, and circular portals of light. 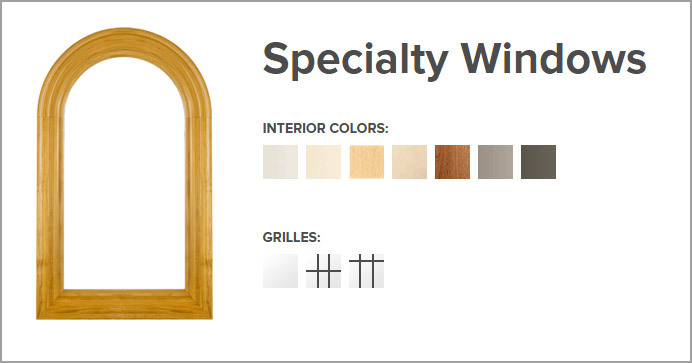 Choose from a wide variety of styles of specialty windows. 100 Series: Accentuate your home with curved glass panes while enjoying the stability of our Fibrex composite. 200 Series: Readily available in the most popular sizes, this model accents our 200 Series double-hung windows subtly yet elegantly. 400 Series Curved: This stationary model can be utilized to allow a single point of entry for light to shine through, or can be combined to create a unique appeal. 400 Series Complementary Curved: Like the 400 curved, the complementary curved option is stationary and can be used on its own or in conjunction with other windows. Natural oak, maple, and pine interiors allow for aesthetic customization. 400 Series Complementary polygon: Dramatic angles set this model apart from others. Create stunning visuals as light streams into your home. 400 Series Flexiframe polygon: Make your houseguests jealous with the stunning architecture associated with this model. 400 Series Circular/Oval: These stationary windows break the traditional style of rectangular or square windows for a unique view inside and out. 400 Series Complementary circular/oval: Where rectangles and polygons fail to capture the character of your room, these circular and oval shaped models will add depth and interest. A Series Curved: Hundreds of design combinations are at your fingertips with several natural wood interiors and eleven exterior finishes. A Series Circular/Oval: Energy efficient and aesthetically dynamic, these windows can stand alone or maybe used in combination with other styles for artistic expression in your home. A Series Polygon: Choose separate colors of sash and tip for the right design for your rooms as light enters dramatically through this modern style window. Each of these specialty windows offers the same strength, durability, and energy efficiency as our more traditional window styles. They use advanced glass packages and Fibrex™ frames to create a weather tight seal in your home. The only difference between these specialty windows and our traditional styles comes in the design phase, where Andersen’s expert design teams turn creative visions into fully functioning windows for Massachusetts and Rhode Island homes. Like our more traditional styles, our specialty windows are backed by Renewal by Andersen’s industry-leading 10-year and 20-year limited lifetime warranties. You won’t find better protection of specialty replacement windows in MA or RI. 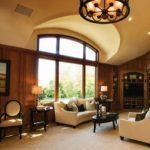 Use these specialty windows to use natural lighting to your advantage in transforming your home. Patches of sunlight stream plentifully through your rooms allowing for a radiant glow. If you would like to create an artistic dynamic to any the rooms in your home, contact Renewal by Andersen of Southeastern Mass and Rhode Island to deliver beautiful replacement windows for light to fill your home like never before. Renewal by Andersen of Southeastern Mass and Rhode Island leads as experts in doors and windows. Call us at 401-473-2739 to set up your free, no obligation in home consultation at no charge to discuss your replacement windows in MA or Rhode Island.